This script is meant to be used with the Cypher System Sheet (red buttons on the sheet, pink buttons in the roll template and/or macros), both the "English" and "French" versions. The functions included in the script enables the applying of stat cost, recovery roll advance, auto calculation of PC state and damage track. Sheet must be in version 1.4+ as most chat outputs and error messages are managed through the sheet's templates. Full rest/reset of the character. (see the comments of the function below for details). Verifies and sets damage track and token markers according to stat pools. 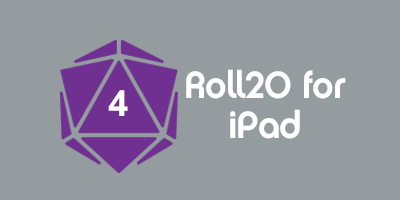 Modifies one of the stat (might, speed, intellect or recovery-rolls) of a character and cycle through as per the rulebook if one stat already equals zero (not the recovery-rolls though). Then checks and eventually modifies the character's damage track and token markers. Resets the action section parameters (attributes) of the sheet. Apply damage (or healing if damage-dealt is negative ...) to an NPC/Creature. Functions resetAction, modStat and restChar are for players (or GM), and can be called by clicking the RED buttons on the sheet. Function checkCharStates is called by all the functions that modify stat pools (might, speed and intellect attributes, and Special Damage) or when stat pools are manually modified (on the sheet or character). Function npcDamage is for the GM and meant to be called via macros with an NPC token selected (these characters require HEALTH and ARMOR attributes). Errors and/or alert messages (insufficient stat pool points for example) are output in the chat using the "cyphMsg" roll template. Modifies one of the stat (might, speed, intellect or recovery-rolls) of a character and cycle through as per the rulebook (might -> speed -> intellect) if one stat already equals zero (not the recovery-rolls though). Then checks and eventually modifies the character's damage track and token markers by calling checkCharStates(character-object). Chat output uses the plain old "sendChat" function (no template). Checks and/or changes the character's damage track and token markers, based on her current stat pools attributes, and special damage. Complete rest/reset of the character. Chat output uses the "cyphRecovery" roll template. Applies damage (or healing if damage-dealt is negative) to a NPC/Creature. And sets "death" marker if health is 0 or less. Armor will diminish damage unless the "apply-armor" parameter equals 'n'. Chat output uses the plain old "sendChat" function (no template), visible to GM only. This page was last modified on 21 December 2018, at 05:24. This page has been accessed 1,527 times.